Professionals looking to restore or beautify concrete that's underneath old tiles or carpet held down by mastics or glues need an effective adhesive/mastic remover they can rely on. SafeChoice Lock Out is designed to seal in the off-gassing of harmful chemicals found in carpet fibers, as well as to help repel dirt and stains. It drastically improves indoor air quality by eliminating the toxic gases found in carpet fibers. Franmar's most-asked-for product, 600GL, effectively removes multiple layers of topical sealers, acrylics, enamels, urethanes, latex, some epoxies, other single-component coatings, and lead based paint. SafeChoice Carpet Shampoo is a non-toxic, odorless, rug and carpet shampoo that acts as both a strong cleaner and odor remover for new or existing synthetic carpets. It even removes toxic insect and dirt repellents sprayed on by the manufacturer. 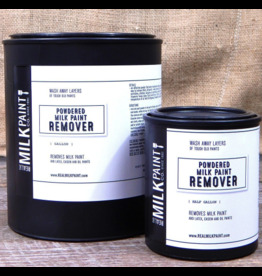 An effective powder that when mixed with water makes a powerful paint remover, for easier and less expensive removal of thick, old paints.